Tiny molecular particles of gold are suspended in a fluid (usually water) and if the gold particles are extremely small, the liquid appears to be an intense shade of red. If the particles are on the larger size, the liquid will be a dirty yellow color. 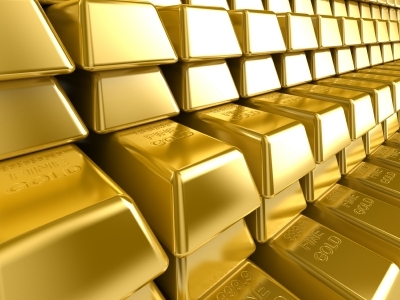 When gold is broken into nanoparticles it can break many different ways, depending on the process. Researchers have found particles in an assortment of shapes including rods, cubes, cap-shaped pieces, and spheres. Nanotechnology is fairly new to our civilization, but it turns out that colloidal gold has been around since ancient times—and it was originally used to stain glass. It was rediscovered by Michael Faraday in the 1850s and almost immediately became one of science’s favorite substances. Gold nanoparticles are highly useful for a wide range of processes including general nanotechnology, electronics manufacturing, and the synthesizing of rare materials.